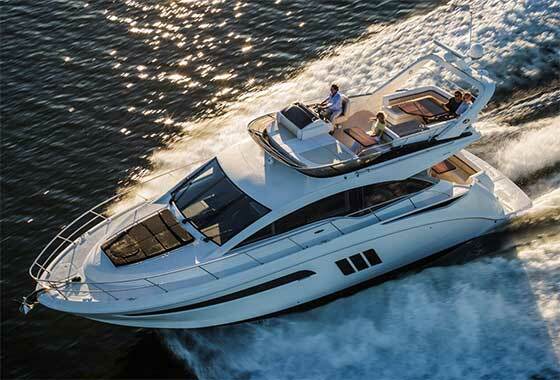 All-new 510 Fly Sea Ray has been presented for the first time in Europe last week during Cannes Yachting Festival 2015. Sea Ray is making with this boat a big statement: the company is really taking elements of the yachting sector into this size of Sport Yachts too. As for the 510 Fly the concentration there during the build process was all about use of space, and that's evident once you get a chance to tour the boat. "With the 510, the focus has been on larger bridges and better accommodations both on the main deck and lower level - tells Luca Brancaleon, Director of International Sport Yachts and Yacht sales. 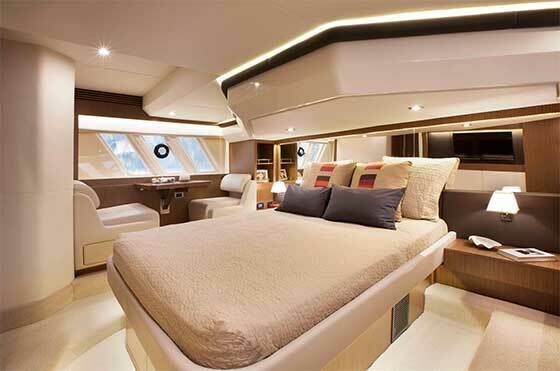 "There's a full-beam master cabin with big windows so you feel connected to the sea. There's three staterooms with two bathrooms and we really focused on the ergonomics. There's not a lot of level changes, so you're not going up and down. Moreover the new selection of interiors we picked for Europe is brighter and elegant, allowing light and space to embrace all areas." In addition to all this the boat is able to handle herself in a sea, and perform very well. The boat is available with pods, but for the owner who wants more traditional propulsion without sacrificing maneuverability, she'll also come with straight shafts matched to a joystick system: essentially the best of both worlds. 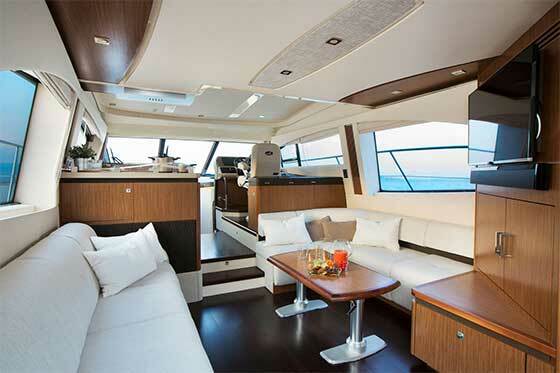 A wide american galley, open and well equipped, is conceived to be the meeting point on the boat, close to helm. An ergonomic Stidd chair for your helm, the best a boater could ask, together with a great visibility and superior seaworthiness will make every trip pleasant and safe. Outdoor living offers great spaces, the FLY is really spacious and create several areas to socialize, with two tables, sunpad ares, and galley corner. An optional strong hard top offers great shade and solidity to the hard top, giving this boat a "ship feeling", showing the quality and engineering of Sea Ray at its highest level. The shaft version can also offer a crew cabin, with an easy entrance from cockpit, full height, equipped with bed and head.